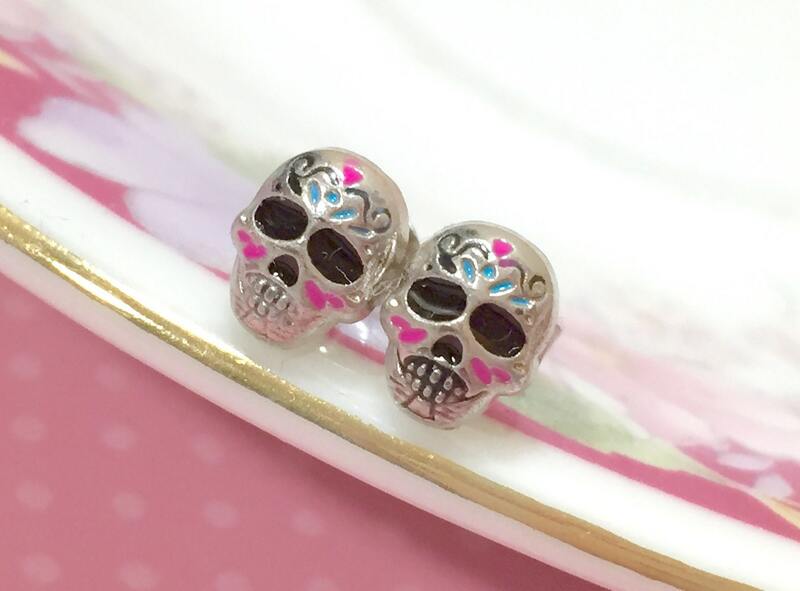 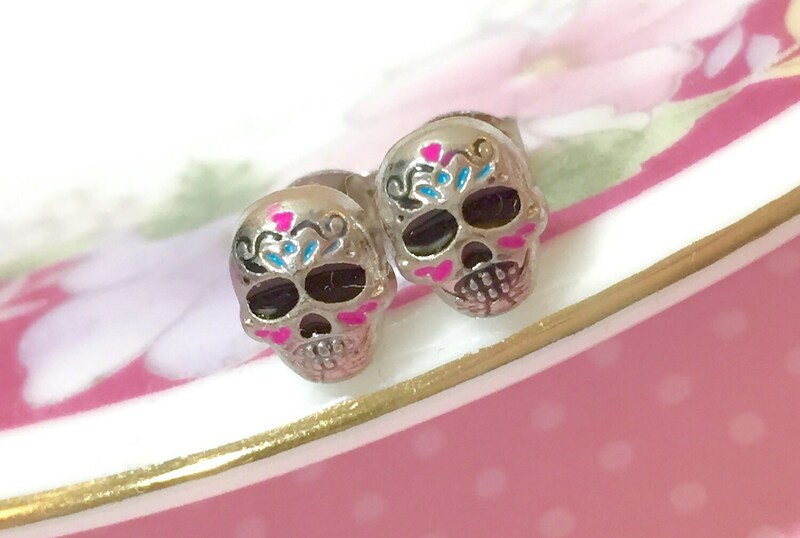 Enameled metal skull studs that are both cute & quirky while a bit creepy at the same time. 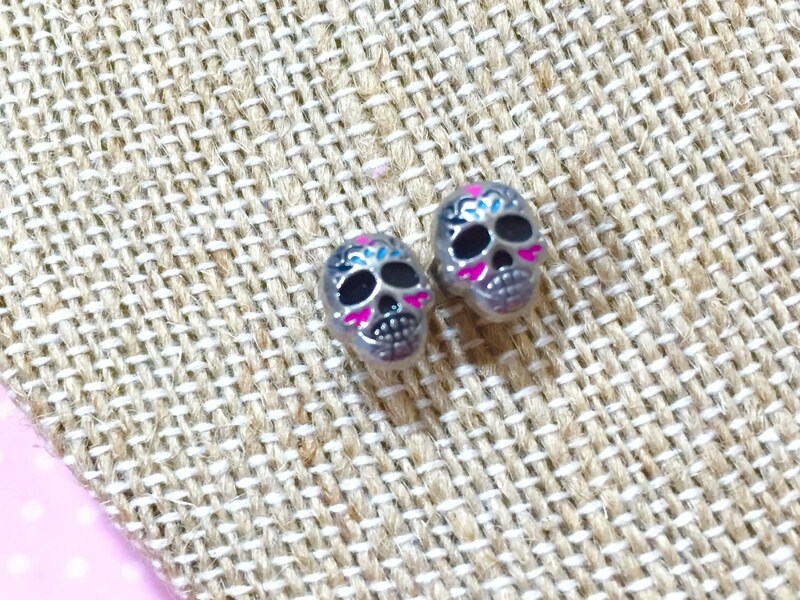 These are painted in fashion of the sugar skulls displayed during "Day of the Dead" celebrations and are perfect for that occasion or even Halloween. 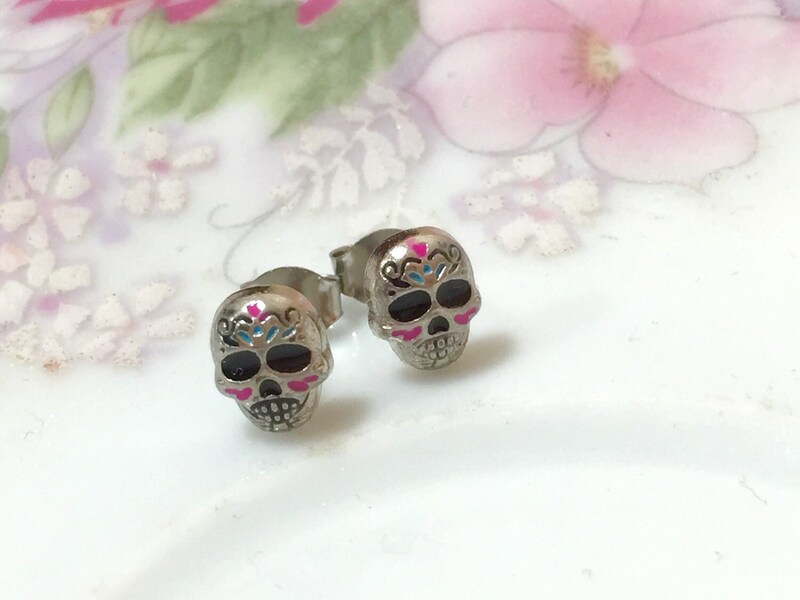 These little cuties measure just about 3/8 inches tall and just over 1/4 inches wide (about 10mm x 7mm) and are securely affixed to stainless surgical steel ear studs.